During the American Architectural Manufacturers Association (AAMA) 2017 National Fall Conference, volunteers filled backpacks with school supplies to benefit children at a local Title I elementary school in Greenville, South Carolina. 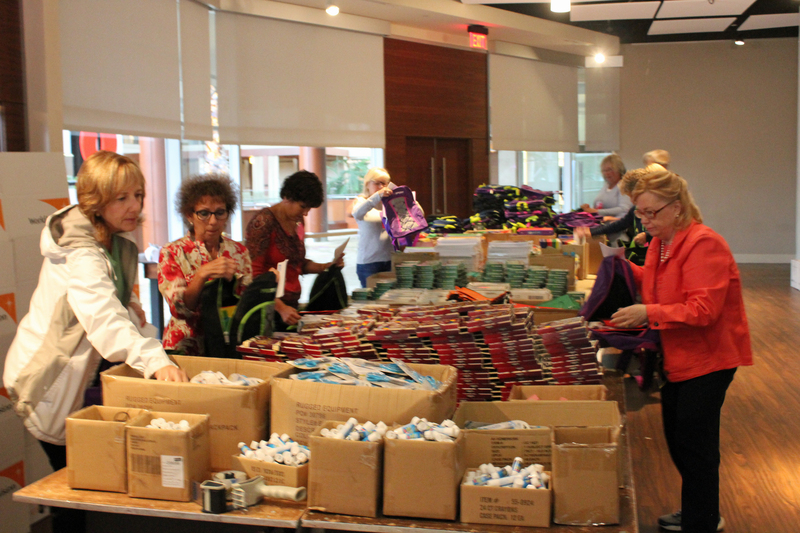 A total of 500 backpacks were filled and distributed during the event. 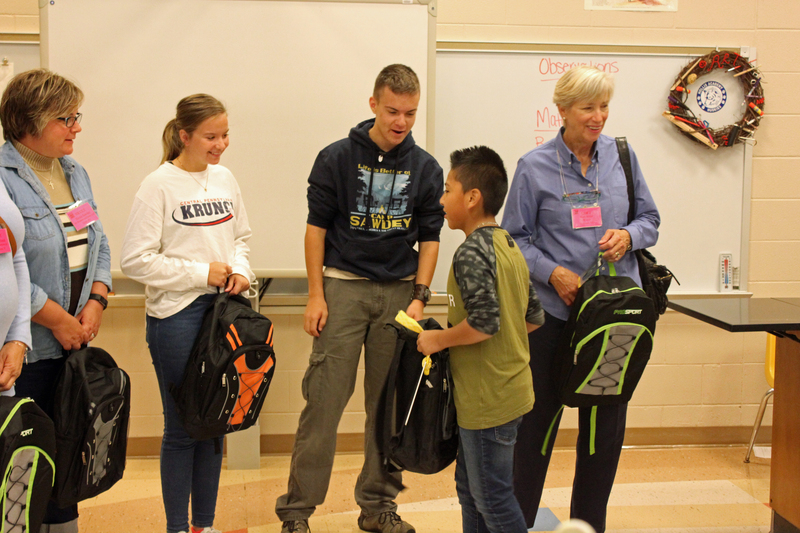 After writing and including notes of encouragement for the current academic year, volunteers visited the school in person to distribute the backpacks. Hollis Academy is a Title I school that serves approximately 689 elementary students, according to Ken Arnold, director of attendance and social work services for Greenville County Schools. Hollis Academy is nestled in the Judson Mill Community in Greenville. "Some of the school's significant challenges are dealing with a high rate of poverty, transiency of students, lack of parental involvement, increasing numbers of English for Speakers of Other Languages students and kindergarten students entering school with limited literacy skills," said Arnold. "The school serves an ethnically diverse population, with the common denominator being the challenge of poverty." Currently, 100 percent of Hollis students receive free meals. For some families, said Arnold, it may be challenging to purchase book bags and school supplies, especially when limited household funds may be needed for rent, food and utilities. "Our district is happy to have community partners such as AAMA who step in to fill this need for many of our students," Arnold said. "Hollis Academy's motto is 'Caring for children today...Creating leaders for tomorrow.' I would like to put emphasis on the word 'caring' as the school does much more than just educate students. AAMA is helping us care for the children of today, as we help them become the leaders of tomorrow." This event was coordinated in partnership with World Vision, a humanitarian organization dedicated to working with children, families and their communities to help them reach their full potential. World Vision does this by tackling the root causes of poverty and injustice. "Our partnership with World Vision, and our commitment to their mission, continues to be an important part of AAMA's efforts to better the communities we visit," said Rich Walker, AAMA's president and CEO. "We are thankful for our volunteers, who worked hard this fall to help hundreds of children in the Greenville area." 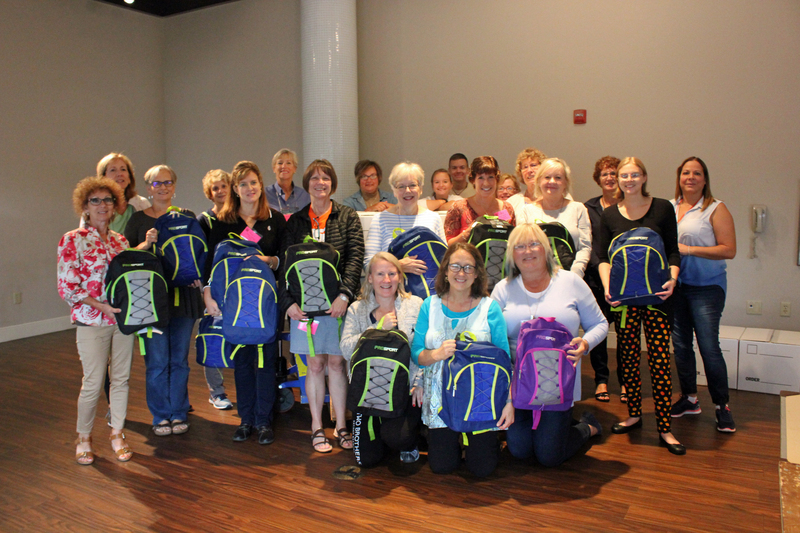 AAMA member companies collectively donated $12,000 to sponsor 500 backpacks in total. The top donor organizations were Lippert Components and VELUX. A Title I school is eligible to become a Title I Schoolwide Program when the poverty level is at or above 40 percent. Children attending Title I schools are generally in homes where incomes are under $23,000 a year.